Idaho Falls obstetrician and gynecologist, Dr. Steve Robison is one of the most caring and compassionate ob/gyn doctors in the area. He enjoys working as a health care provider with women in all stages of life and believes that trust, respect, and compassion are vital in a doctor/patient relationship. In each stage of life, women’s health care focus are different. Dr. Robison understands these differences and applies preventative care and treatments of disease as applicable to the age, history and specific needs of his patients. While skilled in traditional medicine, he is open to new approaches in meeting the needs of his patients and works together with them individually to help find the best possible treatment plan for them. Dr. Robison is an ob/gyn doctor that experiences great happiness in bringing new babies into this world. He believes the birth of a child is a precious gift for all involved and appreciates being a part of the prenatal and delivery care. Robison’s obstetric expertise includes specialty trained in pre-natal and neonatal care which provides considerable peace of mind to expectant mothers. 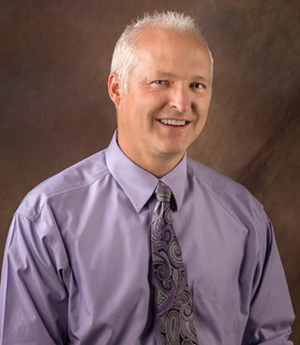 Dr. Steven Robison was raised in Idaho Falls and graduated from Bonneville High School. He received his undergraduate degree from Brigham Young University, and his medical degree from George Washington University in Washington D.C. As an active duty member of the US Army, he further pursued his education and training in Obstetrics and Gynecology in Honolulu, Hawaii, by completing an internship and residency at Tripler Army Medical Center. As a staff physician in the military, Dr. Robison enjoyed caring for active duty soldiers and family members in Heidelberg, Germany, and Fort Campbell, Kentucky. Most recently he served in Baghdad, Iraq, with the 86th Combat Support Hospital as part of Operation Iraqi Freedom. Dr. Robison’s wife, Ellen, is from Orem, Utah. She previously taught high school English and Spanish, but now enjoys being home with their six children. As a family, they have loved living and traveling in many different places. They also enjoy skiing, camping, and the outdoors. Most of all they just enjoy being together.